MoB Annual Events | The M.o.B. With you the show just isn’t the same. 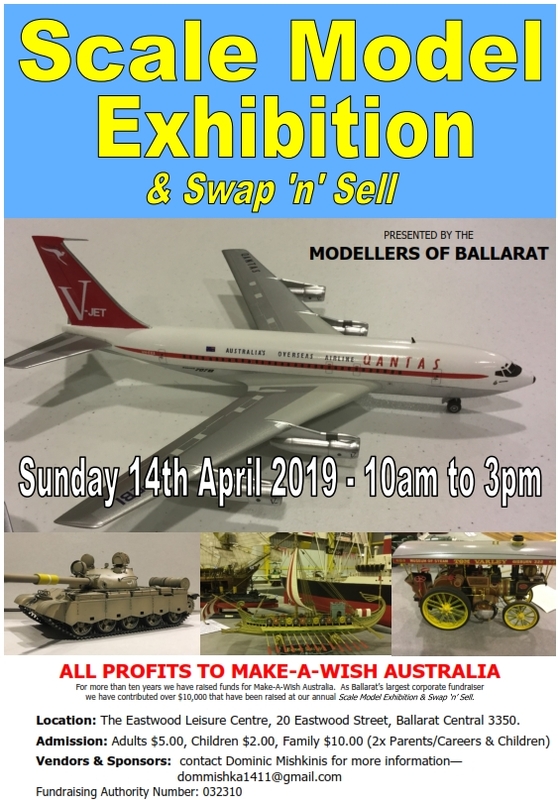 As the largest modelling club in Western Victoria we have large attendances each year. Vendor tables are available for the 2019 show. Sponsors help make our annual show possible. They ensure that we can give more funds to Make-A-Wish each year. To find out how you can help by donation of goods or services please contact the Show Organiser. Copy and paste the address into your email client (you’ll need to remove the space in front and behind the ‘@’ symbol for the email address to work).